She made an adorable shaker card for me for Christmas, with a cat and dog colored to look like May and Pumpkin. And while hers was on the way here, I was making one for her! Great minds! I had a bit of trouble with static making the glitter stick to the inside of the window sheet, so it really looks snowy and frosty! I think next time I'll use sequins or something a bit chunkier. For my first attempt, I layered the die cuts behind the window sheet and added the glitter. It covered the dies cuts and you couldn't see any details. The second attempt was successful. I sandwiched the die cuts between two layers of window sheet so the glitter could moved freely without getting hung up on the die cuts. Wile E Coyote - super genius! 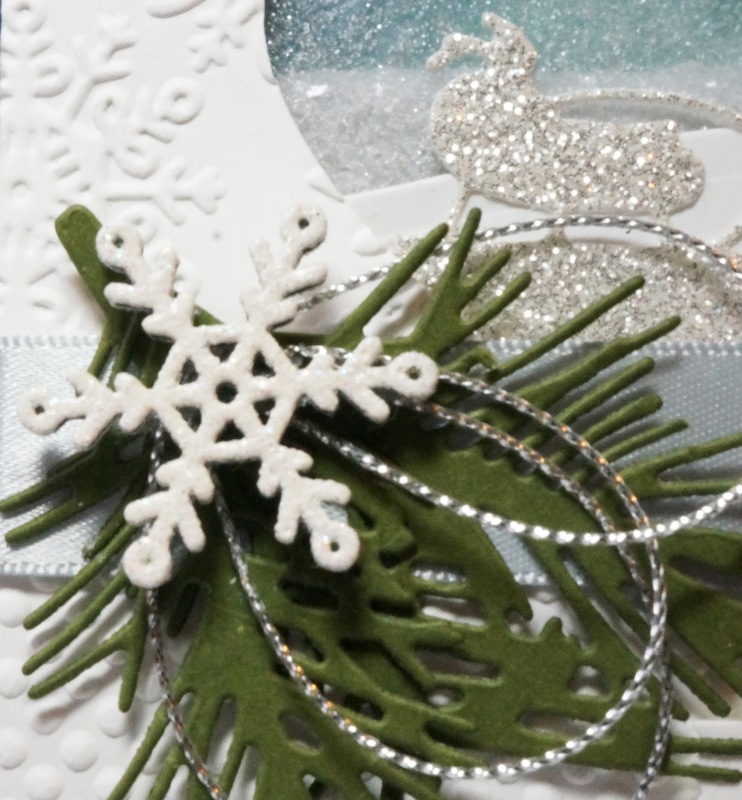 That white snowflake started as one of the wooden Snowflake Elements. I dipped it in Whisper White Craft ink, then white embossing powder and heated it with the Heat Tool. 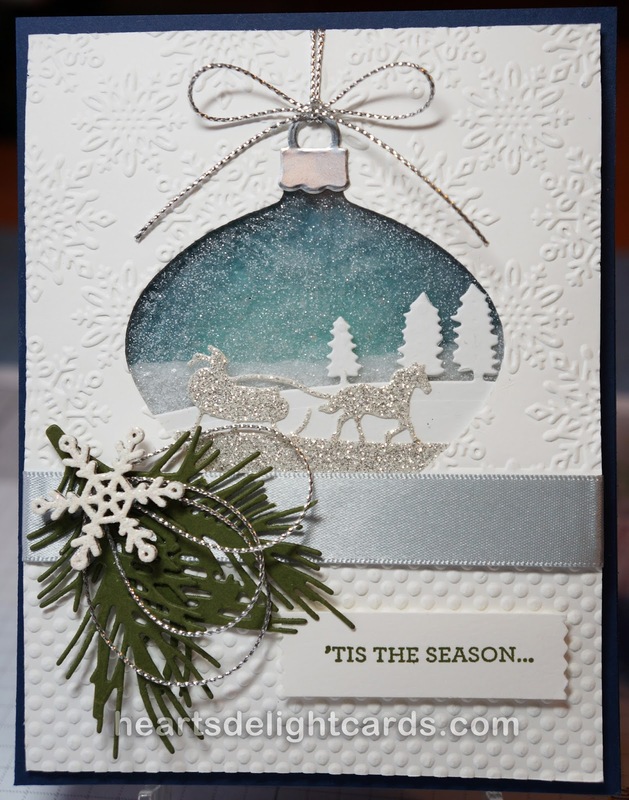 Then I dipped it on the ink pad again and into Iridescent Ice embossing powder and heated it. It turned out all sparkly, but I don't think you can see it in the photo. If you want those Wooden Snowflake Elements, you better get them SOON. The Holiday Catalog ends in five days!